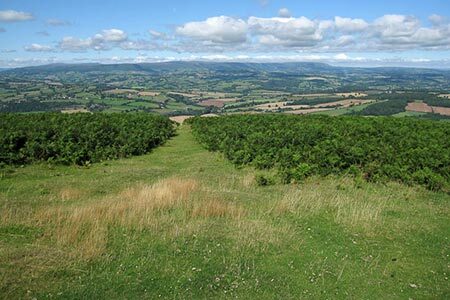 A Herefordshire walk to the summit of Garway Hill and through the surrounding countryside offers some wonderful scenery. The view from Garway Hill's summit is particularly notable including views into five counties on a clear day including the eastern Brecon Beacons National Park and to the Gloucestershire Hills. A GPX File is available for download (see walk description). Cicerone Press offer a range of books and eBooks offering guides to all the popular walking areas and long-distance trails in Britain and overseas. Their illustrated guides feature walks, information and maps to help you make the most of the outdoors.